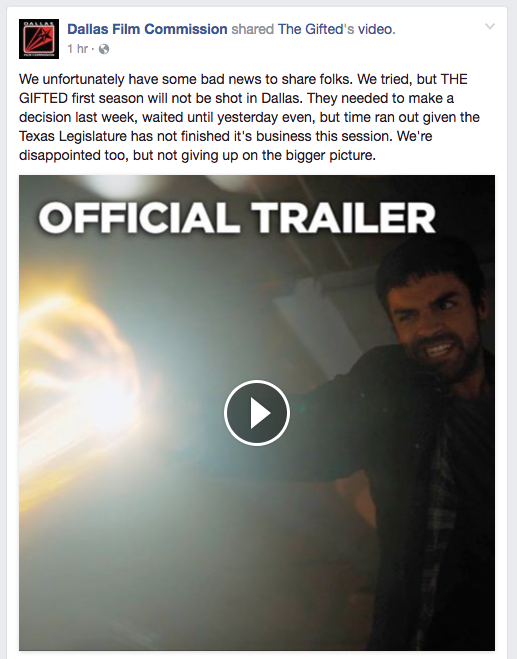 An awkward screenshot from The Gifted trailer. The television show, which filmed its pilot here, will be moving on to greener pastures, where the state film incentives are ripe for the picking. We’ll always have the pilot.